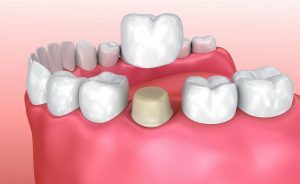 Why should I consider a Zirconia Crown? Zirconia crowns have a very smooth surface, helping reduce plaque build-up. Zirconia is metal-free, which will prevent darkening around the gum-line. Zirconia crowns are computer-aided, this provides a precise fit. What are the advantages of a Crown? Supports a tooth that was damaged by decay, Anchors a dental bridge, restores a tooth after a root canal was done. How do I care for my new Crown? Brush and Floss daily, making sure you hit the gum line when you brush. Sometimes your dentist will recommended a prescription toothpaste or mouth wash. The most important step you can take to ensure the longevity of your crown is to practice good oral hygiene.